- Purchase one’s own residential property. additional income, i e any bonus of sorts. - Take out essential insurance that offers a ‘no-claim’ refund bonus every few years. obtained as and when needed. - Let your kids know that you are planning to adopt a SKIN approach to inheritance (Spend Kids' Inheritance Now), so that they need not concern themselves about having to provide for you in your older years, while accepting that there is unlikely to be much money left over for them to inherit. - Build up your own ‘medical expenses’ emergency fund, especially if not registered medical aid members. We opted for high level medical insurance cover with a residual value to be paid out at the age of 70. - Purchase new cars just as you are about to retire and finance them fully out of your access mortgage bond, if possible. as possible. Reinvest whatever is left over. investment products. The use of a reputable financial adviser is recommended for this purpose. become more significant as one gets older. - Balance your own and your spouse’s investments and income so as to optimise, as much as practically possible, on the net tax payable by each party every year. ‘pensioners discounts’ on certain days of the week, so be aware of them and shop accordingly as necessary. 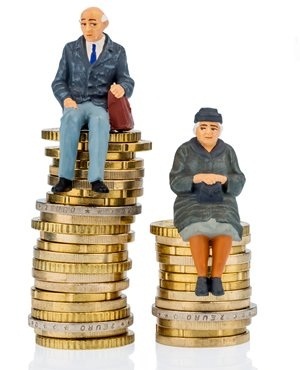 My wife and I are moving into our late sixties and are hopefully now in the position of being able to reap the benefits of our savings strategy as set out above, which should, all things being equal, continue to give us the reasonably comfortable lifestyle to which we have been accustomed for all the years to date. Disclaimer: All articles and letters published on MyFin24 have been independently written by members of the Fin24 community. The views of users published on Fin24 are therefore their own and do not necessarily represent those of Fin24.